Belle’s story is my favorite. Even as a 14 year old (when I first saw the movie! 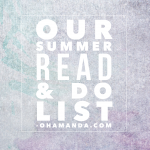 ), I identified with the book loving girl who wanted adventure more than she could tell. She’s always been my princess. So, when I sat down to watch the new movie with my sister-in-law this week? I think I had chills. Like happy, excited, I-am-14-years-old-again chills. And I’m pretty sure my chills and grins and heart palpitations didn’t stop all the way through the movie. It was gorgeous in every way. Let’s talk about it in more detail, shall we? 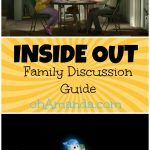 If you’re new here, you should know I like to do movie reviews to help parents have important conversations with their kids based on the themes in the movie. See my other movie reviews for more info. Walt Disney wanted Disneyland to take you inside his movies. It’s why I love Disney theme parks. I am immersed in magic and fantasy and drama. This movie had that same feeling. The Bonjour song was like I had actually stepped into that quiet village. I almost physically felt like I was there. I want to go back! In some weird way it was like Emma Watson was letting me live vicariously through her and experience what I’ve always wanted–to actually BE in that movie. But what’s dinner without a little music? Who knew Emma Watson could sing?! Be Our Guest. Y’all. So good. What’s there, mama? I’ll tell you when you’re older. So, there were a few things that might cause you to lift an eyebrow or two. Gaston is gross. I mean, he just is. He leaves someone for dead, he lies, he is lustful–he’s really just despicable. Talking to your kids about selfishness and arrogance–specifically someone who looks (so) nice on the outside is easy here. LaFou. This is where the big controversy comes in. It’s hard to decide if LaFou’s devotion to Gaston is Chester to Gaston’s Spike or something almost romantic. Most of what LaFou says is completely silly and basic buffoonery. However, knowing that director Bill Condon said LaFou would have an “exclusively gay moment” in this movie, makes you look at everything he does with a different lens. I doubt most kid will see his actions through that lens, though. During the attack on the castle, the wardrobe attacks three men with ribbons and ladies clothes. Two of the men are horrified and run away. The third is decidedly happy with his new attire, blows her a kiss (or does he smile? I can’t remember.) and runs away while the wardrobe sings, “Be free!” Again, based on your lens, you’ll see this differently. Knowing this was coming, it felt like a statement. But. It looked like silliness from a million other cartoons. LaFou’s dance. 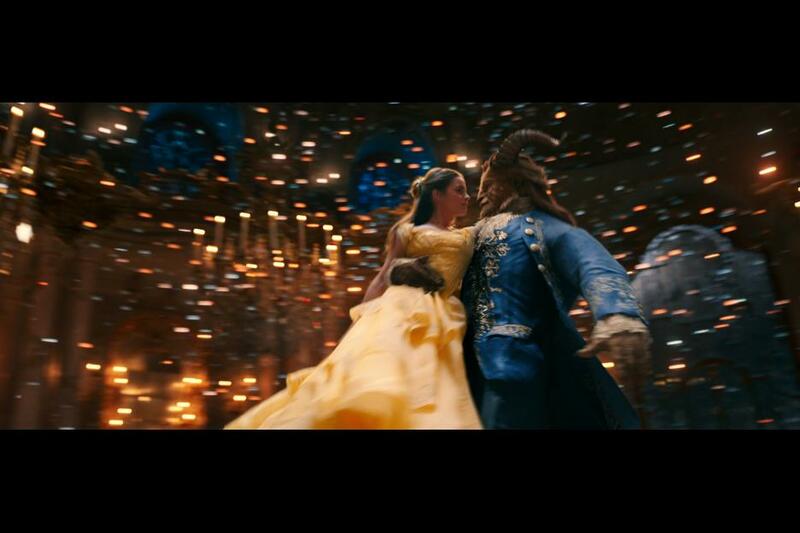 At the very end, everyone is dressed in their finest, in their happy couples and family groups, dancing in the Beast’s castle and they are all doing one of those pass-the-partner dances (IT IS GORGEOUS and just WAIT till you see Belle’s dress). Suddenly, we see Lafou dancing and is surprisingly passed to a male partner (the guy who liked his new clothes from the previous scene). The two men look surprised, serious and happy to be dancing with one another. In hindsight (and with the foresight, too of knowing this scene was going to happen), it felt significant. It was a very brief, 2 second scene, but it was obvious. The wolves and the Beast. There aren’t any new scary scenes. The wolves scenes and the Beast-roaring scenes are almost exactly the same as the movie only it all looks real! So, if your kids are easily frightened, those parts may be too much for them. // Although, in one way, the Beast was a bit less scary because he looked a bit more human. Did you see how they created him? So interesting. —When Beast is returned to life and transformed, Belle doesn’t recognize him at first. She has to look into his eyes to know it’s him. Read 2 Corinthians 5:17 and talk about how the Beast became a new man–from his actions to his body. 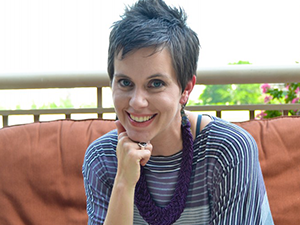 Tell a story about you before and after you became a Christian–what big changes happened to you? Remind your kids that when they give their lives to Jesus, he changes them as remarkably as the Beast! Activity: Dress up one member of your family in as many crazy clothes and layers as possible. Then time him to see how long it takes him to take them all off (except for the final layer, of course)! Talk about the difference between that family member with all the clothes and the transformation without! —At the end of the Beast’s backstory, the narrator asks, “Who could ever learn to love a Beast?” And of course, the next person we see is Belle. The important part of this question is the word learn. 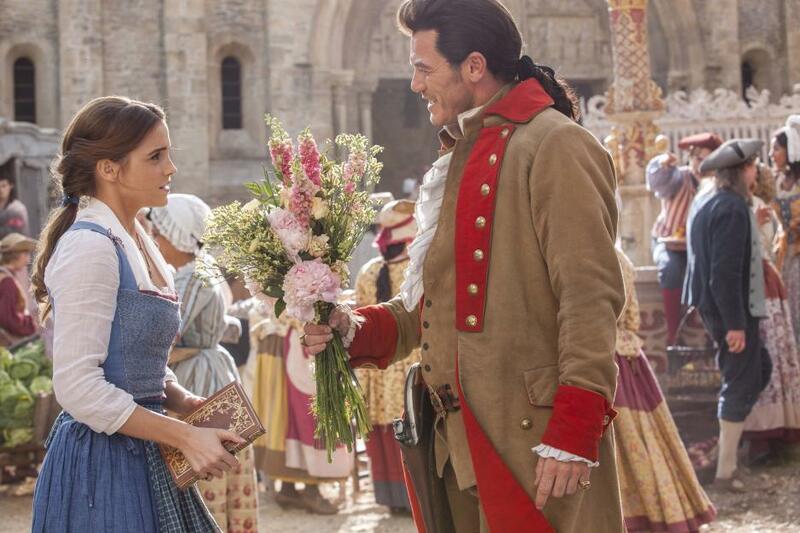 Belle learns to love Beast. She doesn’t do it right away, she’s repulsed by his haggard appearance. Soon, she swallows her pride and begins to look at him for who he is–the beauty within. Read 1 Samuel 16:7 (and really the whole chapter to hear the whole story of David being chosen as King) and talk about how God looks at our heart, not our outward appearance. Activity: Hide an object inside a box (or an old tissue box) and let your kids try to guess what it is only be feeling it with their hands. No peeking! Talk about how hard it is to recognize something without sight. Read Luke 10:25-37. Notice the two people who did nothing versus the one man who helped. Talk about which is easier–helping or ignoring? 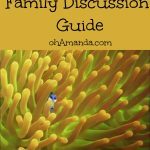 Discuss the better outcome–helping or ignoring? Remind your kids that doing something hard might not be easy, but it’s what Jesus asks us to do. Activity: Act out the Good Samaritan story but pretend you are characters from Beauty and the Beast. Who would be the priest? the Levite? the Samaritan? the beaten man? the innkeeper? Try your best imitations and have fun! —Belle begins to teach a little girl from the village how to read. When the villagers see it, they scoff and even throw all Belle’s clean laundry into the middle of the road. They can’t understand and don’t believe girls should know how to read. Read Galatians 3:26-29. Talk about how Jesus sees his followers as equal. Thank God that we are all one in Jesus! Activity: Draw a giant #1 on a piece of paper (a big bubble letter would be best). Let everyone in your family write their name inside the #1. Talk about how we are ONE in Jesus. 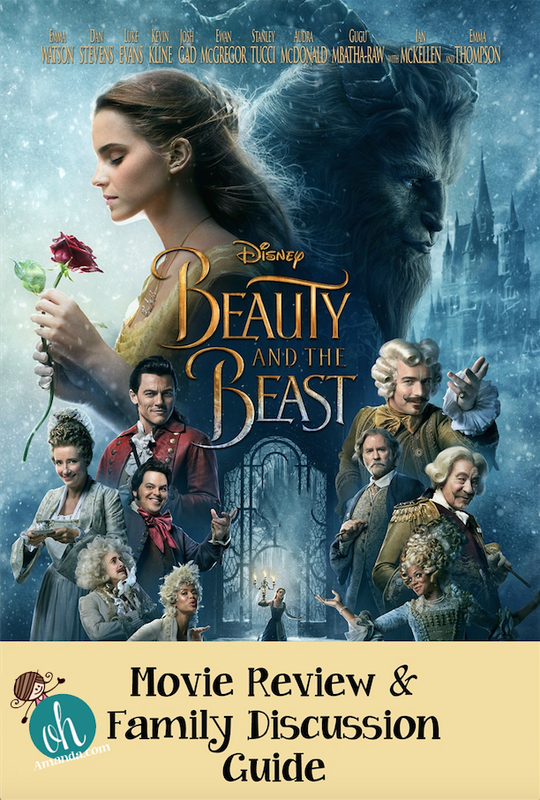 —Belle and the Beast begin the movie as enemies. 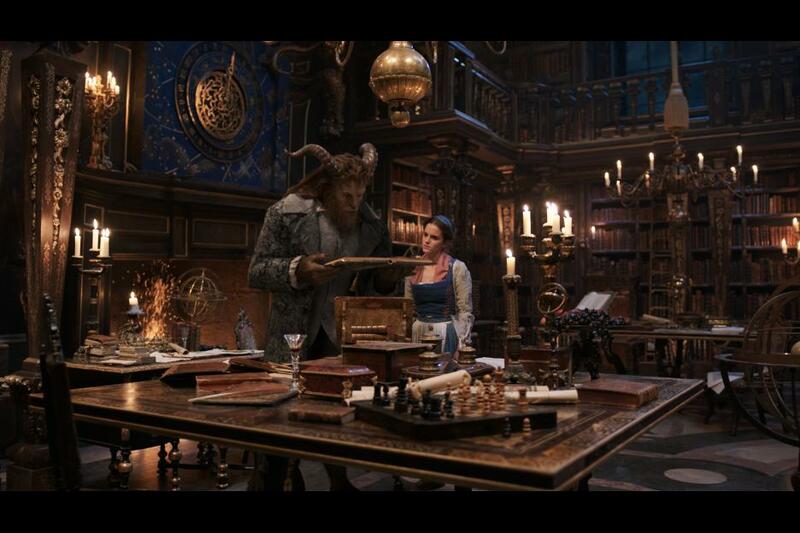 Beast takes Belle’s father and her freedom. She is disgusted by him. They slowly begin to change and remarkably fall in love with each other. Read 1 Corinthians 13 and compare how Belle and the Beast act to the definition of love laid out in this chapter. Activity: Make a poster with all the definitions of love listed down one side. Then write examples you want to do to show that description of love OR write ways you see others showing love in that way. Keep it up to encourage everyone to show love no matter how hard it might be. I loved the movie. The anticipation of seeing how they would treat a favorite song or scene was thrilling. This movie is the same as the original but it is more. It let me experience what I’ve always wanted–being in one of my favorite movies! The whole LaFou debacle is something to think about. I’m honestly still a little unsure where I stand about it. I am going to let my kids see the movie as I think, on the whole the scenes are subtle, minimal and peppered with a good dose of silliness. My kids are 8 and 11. So, think of your own kids, their ability to discern, their capacity for scariness, etc. 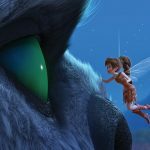 I didn’t let my kids see Brave or Princess and the Frog. And they lived. 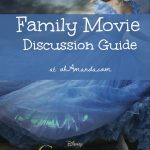 I’ve also had many conversations about good and evil, family and rebellion because of Disney movies. Use what you can and what you’ve got to parent, love and lead your kids to Jesus and His Word! My friend Mary is in love with Belle as much as I am. 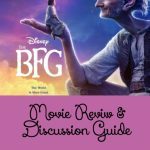 She wrote a great review and a bit about the LaFou thing, too. But even better? 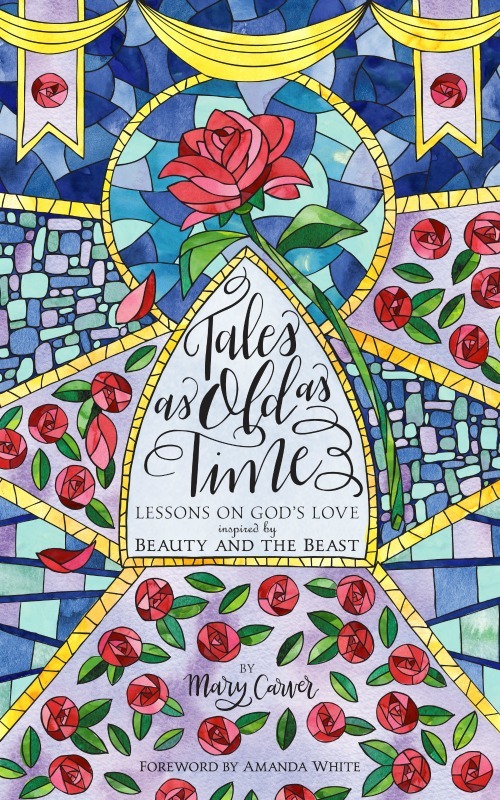 She’s written a devotional based on themes found in Beauty and the Beast! HOW MUCH DO I LOVE THIS?? Well, I love it so much, she let me write the foreword for the book! I attended Beauty and the Beast as a member of the press. All opinions and thoughts are mine. 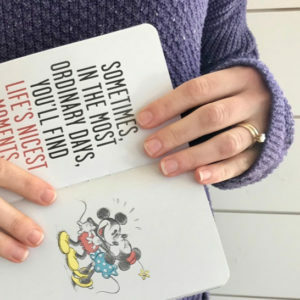 Photos belong to the Disney company.